Recently, a previous post, the O’Keefe Rail Trail was highlighted. This has become a very popular cycling trail from Bendigo, through Axedale and to Heathcote. Axedale is a major destination, as the halfway point. Many ride the route Bendigo-Axedale-Bendigo, with more experienced riders riding the entire route and return. Last Sunday, 1st May, the inaugural O’Keefe Rail Trail Marathon was held and as the article in the McIvor Times, below, shows, the event was a huge success. There are plans to make it a permanent event on the calendar of Fun Runs. 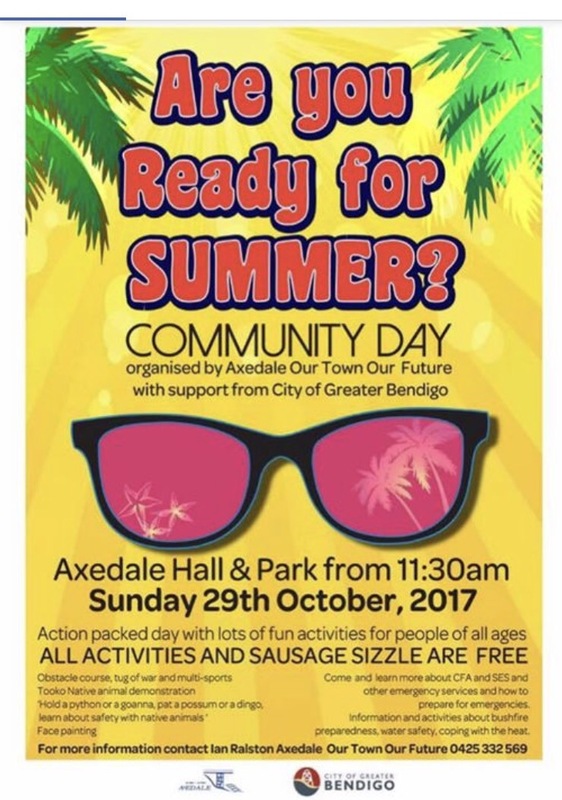 Another win for the Axedale and Heathcote communities. Big congratulations to all who competed. Transcription: Runners from all over the country braved unexpected cold, wet and windy conditions to tackle the rail trail course on the historic O’Keefe Rail trail joining Bendigo and Heathcote. Eighty-two marathon runners braved chilly early morning conditions at Bendigo’s Catholic College in Junortoun after a long night of wild weather across the district, led out by pacer and current Victorian marathon champion Brady Threlfall. Another 460 people also ran in the other events including the quarter and half marathons to bring the total to 552 participants overall. District runners enjoyed a home course advantage, with 13 year old Jamie Cook of the Bendigo Harriers Athletics Club in his first marathon coming home the winner in a fantastic time of 2.34.10 prompting many to comment they could be looking at a future Olympic champion. Cook said he was overwhelmed by the win, which he wasn’t expecting considering he was running in his first competitive marathon against far more experienced runners, but was also delighted with how the race progressed. “I was a bit worried because I thought it might get a bit lonely out there on the trail, but there were so many spectators and volunteers out there cheering us on, it was a great run. “The conditions were tough with a really big head wind, but it was good to get out in it. It’s important on a course like this one to hold yourself back at the start because it’s a challenging course and you risk not having the energy to finish,” Cook said. The women’s race was won by Sarah Jalim of White Hills and a member of the Bendigo University Athletics club, who was running in her 10th marathon. Jalim finished eighth overall behind the top seven male runners, and with the assistance of Threlfall in the later stages of the race, achieved an impressive time of 3.12.26, beating her previous personal best time by 18 minutes. The times of the winners highlighted the O’Keefe Rail Trail could be considered the fastest off-road, nonbitumen marathon in the country. The placegetters in the men’s marathon were Kennington based runner Stephen Freemantle in a time of 2:46.49. Third place and 45+ winner was David Meade, a past Australian Triathlon Champion, in 2:53.25 and another local Bendigo athlete from the Bendigo University Athletics club. In second place for the women’s race was another Kennington based runner Els Viester running a 28 minute personal best with a time of 3:30.11 and another member of Bendigo University. Castlemaine resident Karina Taylor was third with a time of 3:47.34 and also first in the 45+ female category. The most popular event on the day numbers wise was the unique Ekiden Relay supported by Bendigo Stadium over the Marathon distance, one of only two relays in Australia run over the marathon distance. A total of 29 teams with 7 runners each had 203 athletes battle out the unique event with runners waiting at change over points along the trail for their chance to run. The Ekiden was won by one of the four teams from the ‘Eaglehawk Athletics Club’ in this case the Men’s team in a time of 3:06.45. Second place was the ‘Castlemaine Park Runners C Team’ just behind the winners in 3.08.12, while third place was a local team called ‘The Year Of’ made up of Bendigonians. The comradeship of the event was evident with several teams joining their last runner to all cross the line together in a show of unity. A total of 112 athletes started in Heathcote for the 21.1km half marathon, sponsored by the Athletes Foot, Bendigo. Runners ran out just past Lake Eppalock into a stiff head wind and returned back the same way with a tail wind to the finish. Ben Fahy was the winner in a time of 1:21.21 from Bendigo Harriers athlete Ben Stolz 1:22.50 and another Bendigonion Luke Crameri 1:25.01. Victor Cook of the Bendigo Harriers was first in the 45+ age category with a time of 1:32.29. The women’s half marathon was won by Rebecca Cladingboel of Moama in a time of 1:32.53, while Mia Franzmann of Shepparton was second and winner of the 45+ age category in 1:36.04, and Jacinda Herrett of Wharparilla was third in 1:38.49. Another 80 runners ran in the challenging quarter marathon course over 10.558 km’s from Heathcote. Star local athlete and Victorian state representative Matthew Heislers from the Bendigo University Athletics Club won in a fast time of 37.12 as well as taking out the Under 18 event. Sean Williams of Edithvale 39.12 was second and Philip Barrett of Essendon third 41.44. The women’s Quarter Marathon and also the Under 18 event was won by state representative and one of the brightest rising stars in distance running Taryn Furletti. Just 13-years-old, the Seymour teenager from the South Bendigo Athletics club ran exactly 44 minutes. In second place and also winner of the 45+ age category was Vicky Gunn 45.32 of Moama from Cindy King 46.02 of Edithvale. A total of 43 runners and many of them juniors took part in the O’Keefe Mile and it was the girls that won the day with Bendigo Harriers athlete Zahli Drummond winning in a time of 6.24. The first boy over the line was Oscar Fox in the Under 11’s in a time of 6.35, while other age category winners were Isaac Willits (U15 boys), Georgia Smith (U11 girls), Jude Barrett (U9 boys) and Renee Ford (U9 girls). The final race was 500m for the 8 years and under runners, with 32 youngsters eager for their time to shine on the O’Keefe Trail. Even the challenging conditions the weather threw at the district with its deluge in the early hours of the morning and its resulting mini floods, ferocious winds, rubbish and debris thrown about did not deter the runners and their families, event director Sandra Slatter ecstatic with the success of the event. “Securing Mandalay Resources as the gold sponsor of the event for three years to ensure its financial future is vital for it to be viable”, Ms Slatter said. “With 188 participants coming from outside the region as well as the locals to participate, the race is attracting participants from all over the state and country and bringing significant funds into the region. Read more here about the O’Keefe Rail Trail Marathon from the point of view of a competitor. Jane Anderson from Toolleen Country Retreat Boarding Kennels ran her first marathon, very successfully. 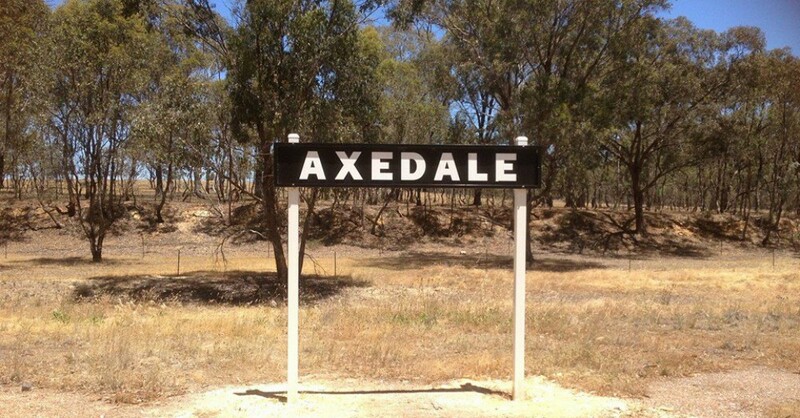 *Toolleen is about 10 kilometres from Axedale.